You might as well try to figure out which wing joint is the best in Buffalo (hint: not Duff’s) before asking this. I assume I’m like most goalies when I say the masks were what first caught my attention and were why I wanted to play goal myself. However, what I really fell in love with were pads. Nothing beat taking the quick drive to Don Simmons and trying on a few of the hundreds of sets they used to have on display. For me, it was the closest thing you could ever get to Willy Wonka’s factory. From a strict playing perspective, this begins and ends with the Vaughn Velocity leg pads and a glove with a Koho 580 break (90 degree if we’re getting technical). The blocker is somewhat immaterial to me but I’ve grown partial to Vaughn or CCM/Reebok/Koho model. As it pertains to NHL goalies and the best pads ever, I think that honor goes to the Koho Revolution 500. 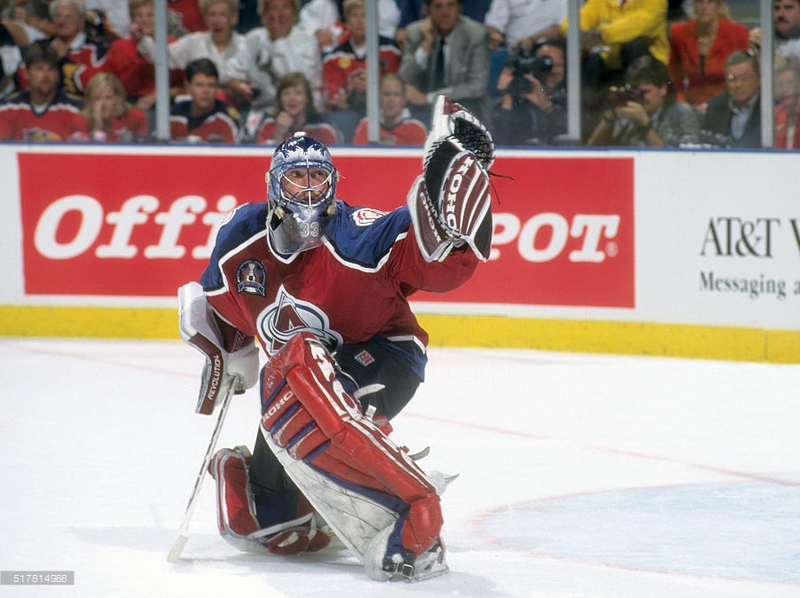 These are the pads worn by Patrick Roy when he won the Cup with Colorado in 1996. Martin Biron wore these for his introduction in Buffalo and nearly every other French-Canadian goaltender along with him. 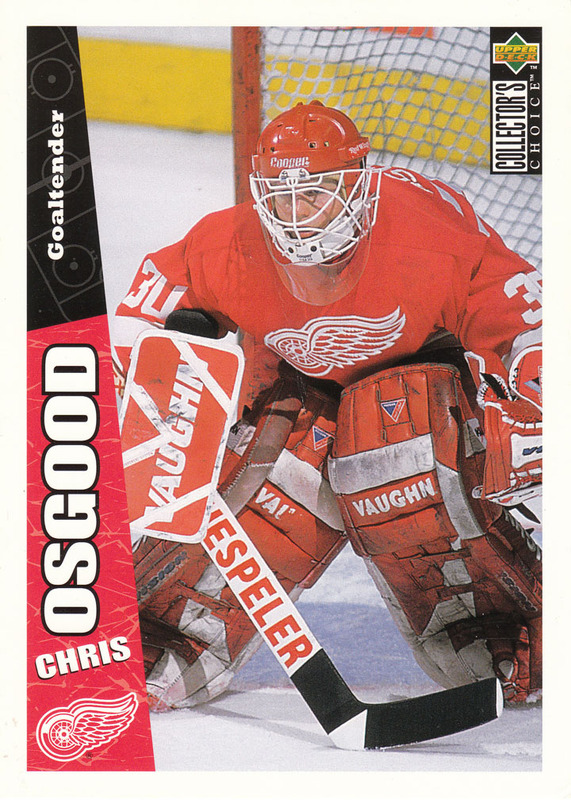 They looked awesome and were worn by one of the best ever, you couldn’t find a cooler set in the mid-90s. 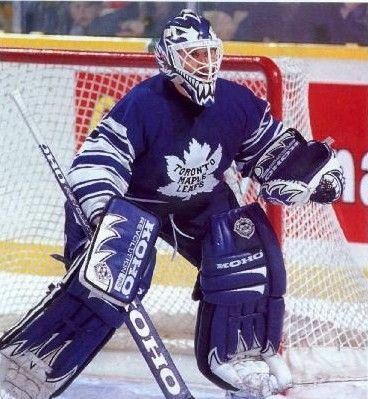 Roy sported quite a few terrific set ups as Koho practically built their line around him. 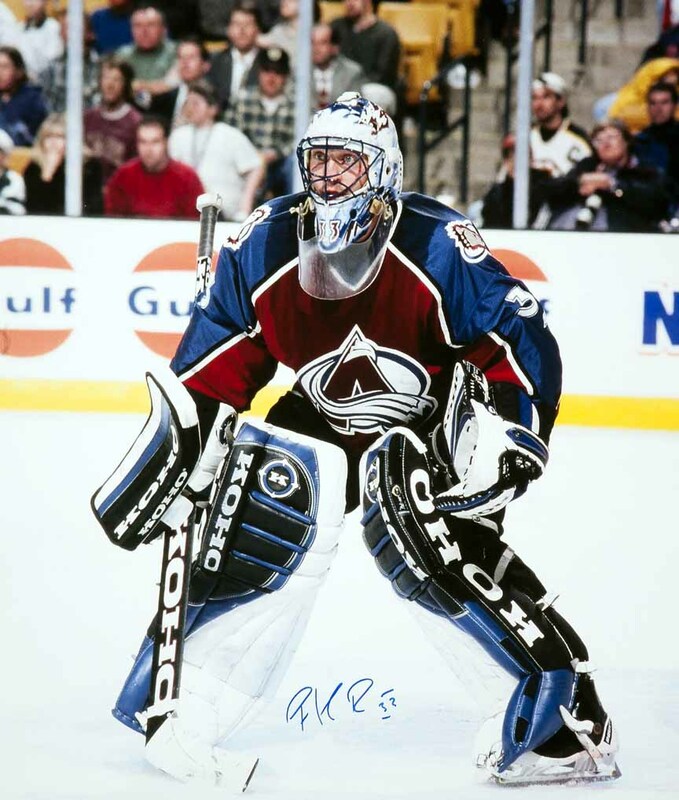 You’d be hard pressed to find much better than the Koho pads he wore during his time in Colorado. Among others that deserve consideration, Vaughn’s V graphic blocker was the envy of nearly every rink while the Legacy graphic dropped in the late 90s was tremendous. 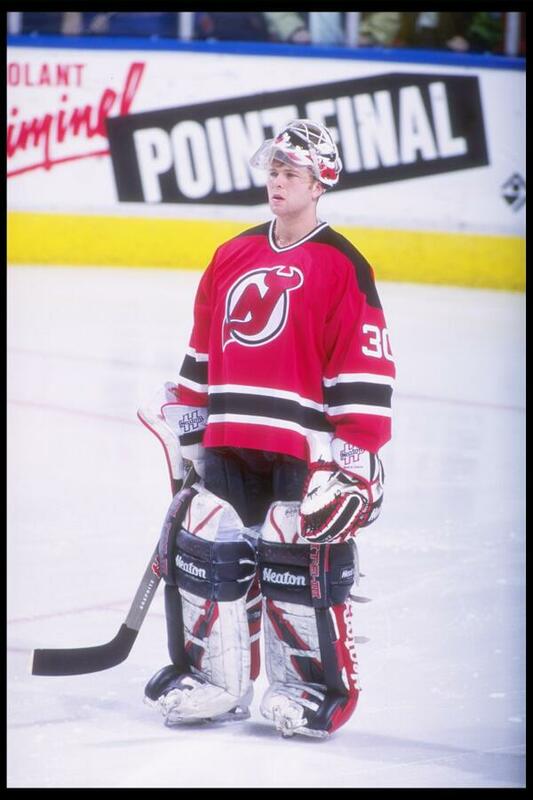 The Heaton Helite III was a killer pad (Brodeur’s were awesome) and Felix Potvin’s look is probably one of the most iconic in all of goaltending. Honorable mention to the 90s Vaughn Vision and Dominik Hasek’s Bauer Reactor 5. Tony/@TonytheGunk – Do the Sabres have scouts? I very rarely see them listed as attending out of town games. According to their website they have three pro scouts. A cursory look around the league shows that to be a general trend as most teams have between three and five pro scouts on staff. I have noticed the Sabres have been absent on a lot of the scout lists we see these days and my assumption is they aren’t present at games featuring sellers since the Sabres themselves are poised to sell. They’re probably watching the league’s expected buyers but it’s likely we simply haven’t seen them pop up on any Twitter lists. The Sabres may be placing a larger emphasis on scouting prospects (professional or otherwise) which would also explain their absence from any of the lists that get tweeted out from time to time. Mark/@BVFA12 – The trade deadline is less than a week away. Who is the most off the radar player who gets traded from the team? More excited to get picks, prospects or roster players back in a trade? Do Risto or O’Reilly count as off the radar, because that’s who I’d probably pick. But if you’re going way off the radar I’d probably say Marco Scandella. There’s a miniscule chance he’s moved but if Botterill is really trying to rake in assets, Scandella would help him do so. But that’s way off the radar. I’m not sure how this deadline is going to play out but I think I’d rather see prospects come back in a big trade than picks. But I’d be hoping for legit top prospects. For example, I’d be far more interested to see Evander Kane fetch a guy like Sam Steel or Jordan Kyrou as opposed to a late first round pick. Brian/@brian_mulhern – What do you think Botterill’s offseason plan should be aside from the obvious getting more talent? I think maybe the obvious plan is the right one. The Sabres have a ton of holes and it would take another offseason like last summer (10 new acquisitions) to fill those holes. If we’re being honest, Botterill would probably need a couple more hits than he got last summer to really make progress. He tipped his hand a bit last summer in acquiring players better suited to play the speedier game we see more of lately and I’m betting we see even more of that this summer. Perhaps another year of injecting speed into the lineup and purging dead weight will help get the team on the right track. His priority is almost certainly going to be the blueline once again. Nathan Beaulieu hasn’t been healthy all that much but when he has he isn’t the player the Sabres need him to be. Same goes for Zach Bogosian and it doesn’t look like Viktor Antipin probably isn’t a long-term option. Assuming Brendan Guhle is one, I’d bet on at least three new faces on defense for next season. A couple of Antipin questions came in this week and while I’m equally perplexed as to why Housley hasn’t given Antipin more rope, I’m over the weekly debate over why Viktor hasn’t been freed. Antipin is better passer and puck handler than at least four of Buffalo’s blueline regulars and he typically plays with good gap control and exhibits a strong ability to maintain proper leverage so his undersized frame isn’t exploited. But he hasn’t set the world on fire either and it’s obvious that Housley doesn’t like something about his game. So I’m done pulling my hair out over his absence from the lineup. Something didn’t connect between him and the staff and that’s really unfortunate. I doubt he’s back in Buffalo next year but the Sabres may still have a diamond in the rough-type discovery in Casey Nelson so not all is lost. Kris/@sabresprospects – Why don’t you use Twitter to answer questions? I feel like Joe and Matt from Channel 7 have a good thing going with their Twitter Q&As and I don’t want to horn in on their turf. Plus, this gives me another chance to get #fun #engaging #content up on the site. Anthony/@askrinj –Do you think the WC jerseys should have the buffalo patch on both shoulders? It seems so bare. Yes, definitely. It might look goofy since the patches would be facing in opposite directions but that would be better than the empty shoulder that’s been vacated by the Winter Classic patch. A non-symmetrical patch set up might irk jersey aesthetic sticklers, but I think it would look fine in practice. That charging buffalo patch is phenomenal and should get used as often as possible.